Ever since its November 2013 launch, the PS4 has been ahead of the Xbox One when it comes to sales. As a matter of fact, less than 2 years after its launch the PS4 is approaching the magical 20 million mark in sales. That’s certainly an impressive number of units sold, and in an interview with eurogamer, Shuhei Yoshida, Sony’s President of Worldwide Studios stated said that the whole thing is “just beyond our imagination”. However, there are clear reasons why the PS4 is winning this generation console wars. Here follows 5 reasons why the PS4 has outsold the Xbox One. 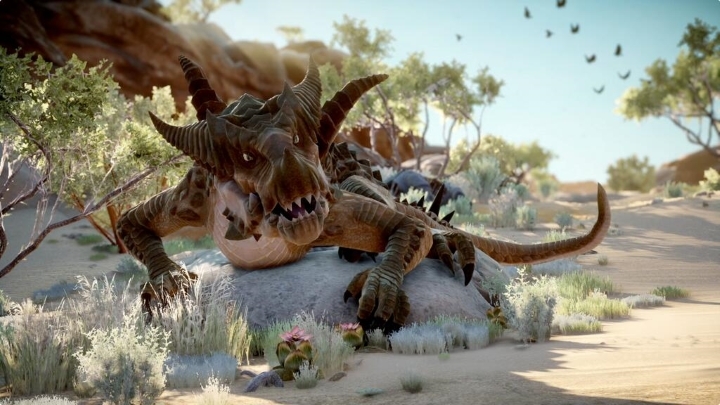 Dragon Age Inquisition was one of the best games of 2014, and it did look prettier on the PS4. Shortly after the release of the PS4 and Xbox One back in November 2013, one thing became clear: the PS4 had a superior graphics chip. While both consoles sported AMD graphics, the PS4’s customized 7870 chip clearly has more processing power than the Xbox One’s graphics chip. A distraught Microsoft tried to remedy the situation by releasing a new version of its DirectX software last summer. But high profile developer CD Projekt Red, who is behind the eagerly anticipated The Witcher 3, rained on Microsoft’s parade when they claimed that software updates wouldn’t solve the Xbox One’s resolution issues. High profile games like Dragon Age: Inquisition and Far Cry 4, amongst 2014’s best games, have been running at lower resolutions on the Xbox One while being able to run in full HD (1080p) on the PS4, and this has not helped Microsoft’s cause at all. And the fact that all this got a lot of attention from the gaming press just served to cement the idea that “the PS4 is more powerful” in gamer’s minds. SOURCE: Official PlayStation Magazine (UK).